This oral history interview with retired Borough of Manhattan Community College professors Bill Friedheim and Jim Perlstein was conducted at the CUNY Graduate Center on June 1, 2015. 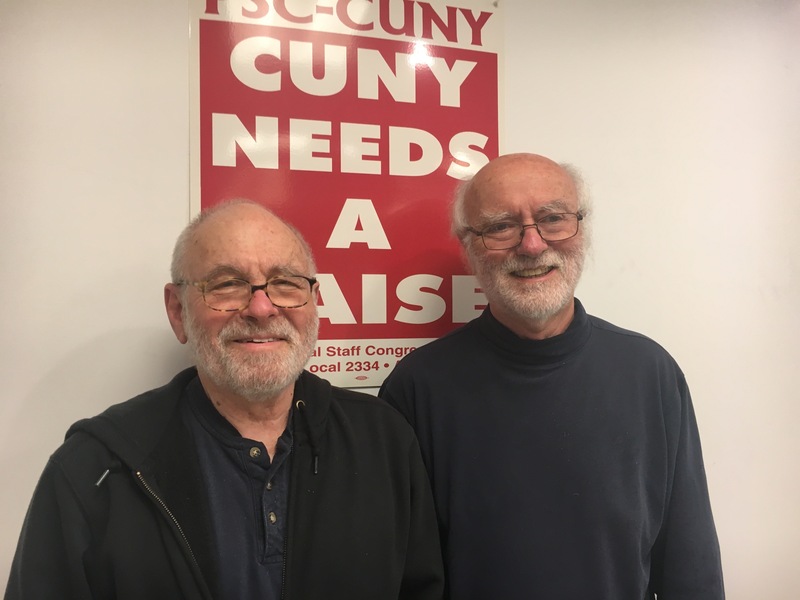 Friedheim and Perlstein were intimately involved in many of the radical struggles that occurred at BMCC and across the university during the 1960s and 70s. Topics covered in this interview include the origins of BMCC, its student body and facilities, connections with broader social movements, student organizations, faculty unionization, the 1971 student strike, and many others. Cite This document | CDHA, “Oral History Interview with Bill Friedheim and Jim Perlstein of Borough of Manhattan Community College,” CUNY Digital History Archive, accessed April 24, 2019, http://cdha.cuny.edu/items/show/2371.